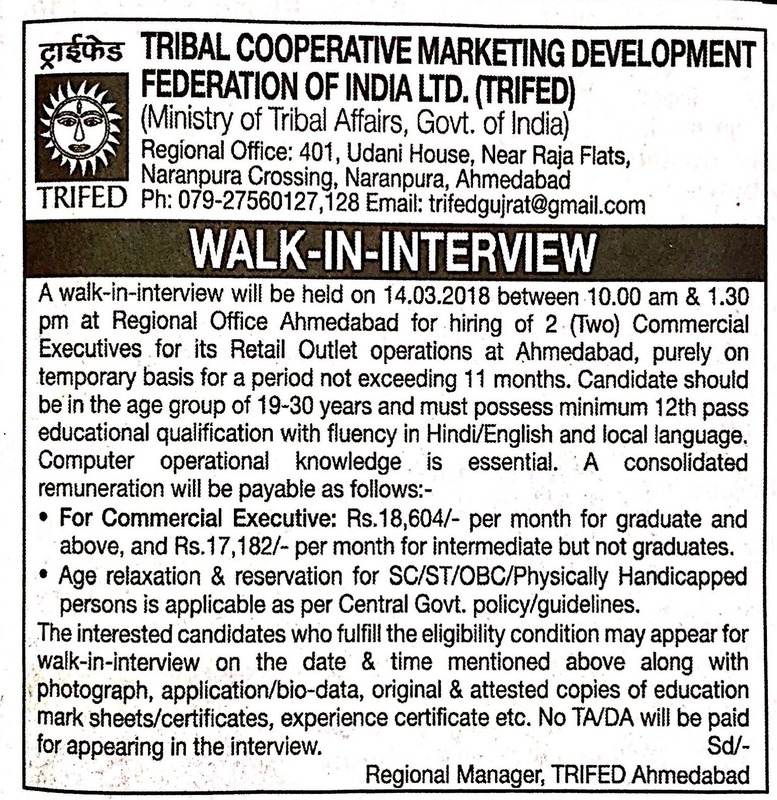 Tribal Cooperative Marketing Development Federation of India Ltd. (TRIFED), Ahmedabad has published Advertisement for below mentioned Posts 2018. Other details like age limit, educational qualification, selection process, application fee and how to apply are given below. Educational Qualification: Must Possess minimum 12th pass with fluency in Hindi / English and local language. Computer operational knowledge is essential. 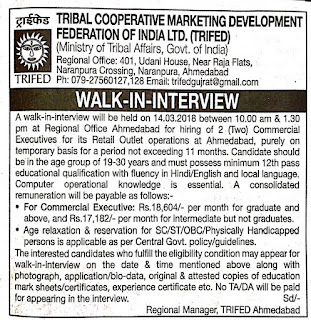 Salary: Rs.18604/- per month for graduate and above and Rs.17182/- per month for non-graduate. Venue: Tribal Cooperative Marketing Development Federation of India (TRIFED), Regional Office - 401, Udani House, Nr. Raja Flats, Naranpura Crossing, Naranpura, Ahmedabad. Interview Time: 10:00 a.m.to 01:30 p.m.